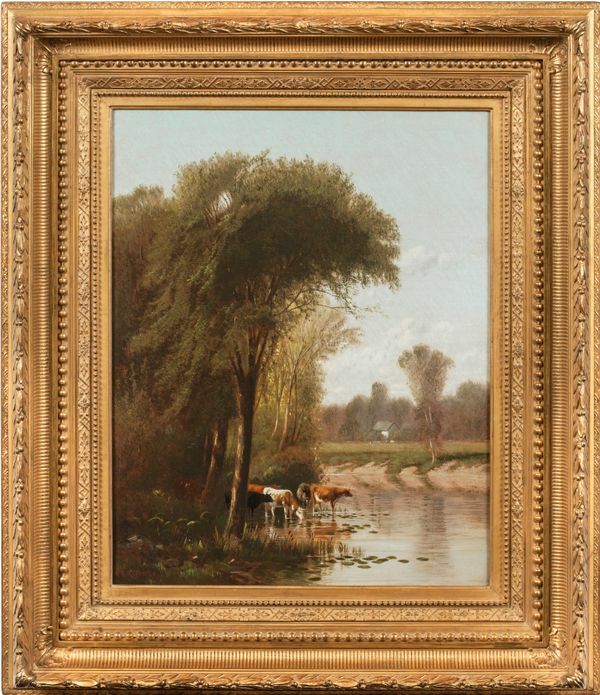 Idyllic Landscape is an exemplar of Loveridge's signature style, which favors realistic and detailed depiction of the landscape at hand while drawing attention to light effects. 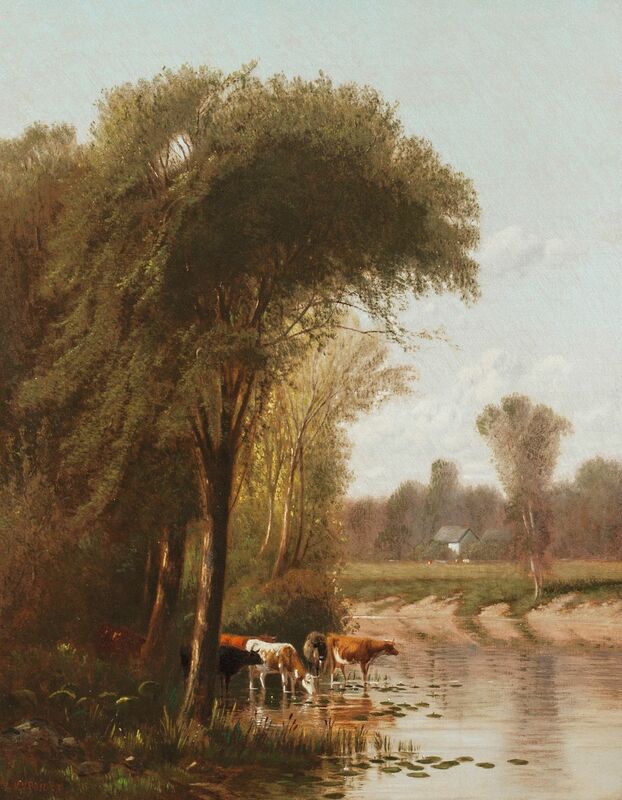 The detail used to articulate the musculature of the cattle watering in the center of the composition is offset by the diffused, natural light emanating from behind the trees. With attention to detail and realism befitting of a photograph, Loveridge refuses the temptation to lend visibility to the more shadowy areas of the scene; he leaves the immediate foreground encased in darkness, balancing its compositional weight with the reflection of light in the surface of the water and the lone farmhouse in the distance.